If you want a lot more information than a blog post can include, check out my new ebook for the Kindle on using Endomondo and Strava for interval training: Using Smartphone Apps For Interval Training. 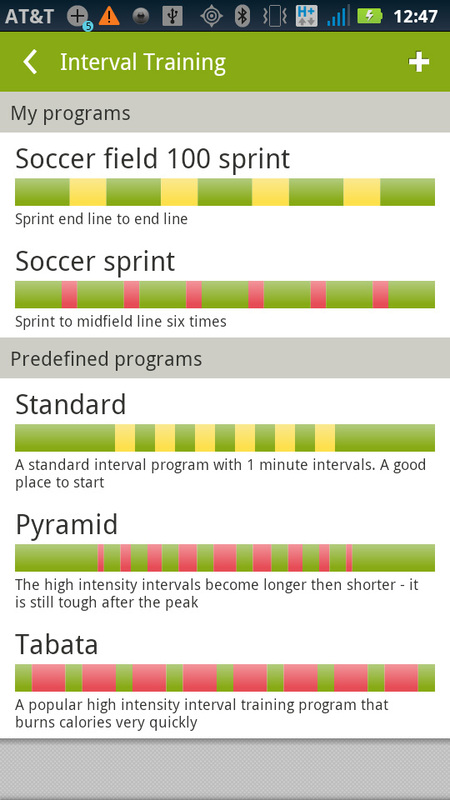 This book gives you precise instructions and screenshots on how to design and implement your own sprint routine with two of the leading cycling apps, among other information. Blog entry from last April starts here: The smartphone sports app Endomondo has a great new addition for people who understand the importance of sprinting (on your bike, barefeet, skis, etc. 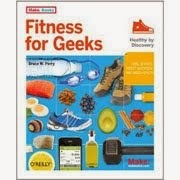 ): an interval training component. This means that the app will chime when it's time to start sprinting, signal and time the rest period, and generally keep track of how many intervals or sprints you have done. The component also allows you to design your own sprint protocol, which is a great feature. My Android phone auto-updated to the new version, which requires Endomondo Pro (a cheap upgrade from the free version). In other words, I just found it on my phone one day. 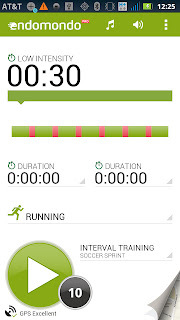 Here's how it works: go to the main screen where you time a workout, as shown by the picture. Instead of Basic Workout, choose Interval Training from the menu (beneath the screen region where you choose running, biking, fitness walking, etc.). 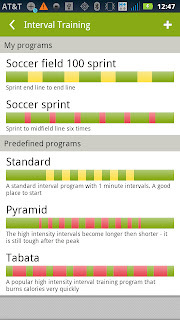 The striped icon shows the pattern of sprints and rest periods (or low and high-intensity segments). 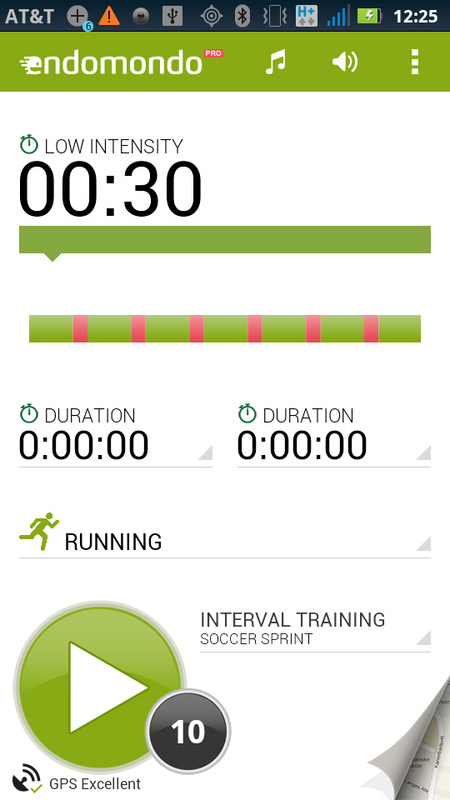 The app comes with three predefined programs (including Tabata sprints), but also allows you to design your own. For example, the Pyramid program begins with 3 minutes 20 seconds low intensity (such as walking or light movement), builds up to a peak of longer sprints (though not lasting more than about 35 seconds), then descends from the peak back to shorter intervals and longer rests. As a practical matter, you probably have to wear an arm-strap to carry the phone (iPhone, Android, Blackberry, for example). The low-register beeps signal a rest; the higher chimes a sprint.